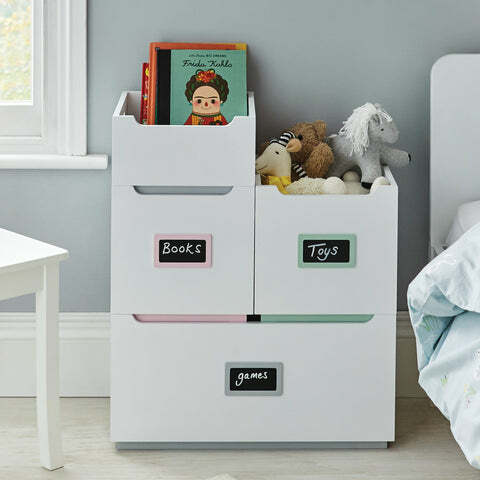 Large Barbican Toy Storage, Grey | Great Little Trading Co. 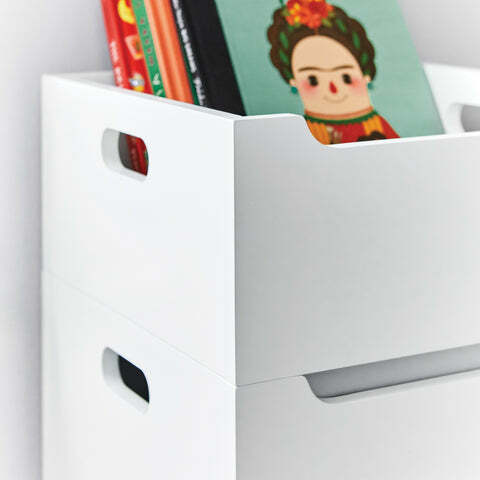 This roomy toy storage both looks neat and is neat; we love that clean, sleek look and that you can stack the matching smaller Barbican Toy Storage Box on top to clear clutter and organise toys. You can't be too careful with children around - furniture needs to be sturdy and wobble-free. So like all our furniture this range has been thoughtfully designed and produced from top quality materials, and then rigorously safety tested. For safety reasons please stack no higher than two of the toy storage units (plus tray). Includes cut out handles for easy lifting and moving. 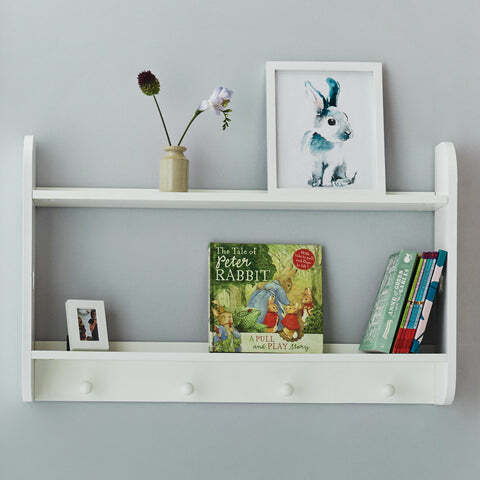 Fill bare walls with some of our gorgeous Wall Shelves for books and toys; they come in all shapes and sizes so there's something to to suit every space.